Home>News>News>Launch of the "Land Degradation Neutrality Fund"
Launch of the "Land Degradation Neutrality Fund"
The “Land Degradation Neutrality Fund”, supporting the Sustainable Development Goals and especially sustainable land use, was officially launched at the thirteenth session of the Conference of the Parties (COP13) of the United Nations Convention to Combat Desertification (UNCCD) taking place in Ordos, China. 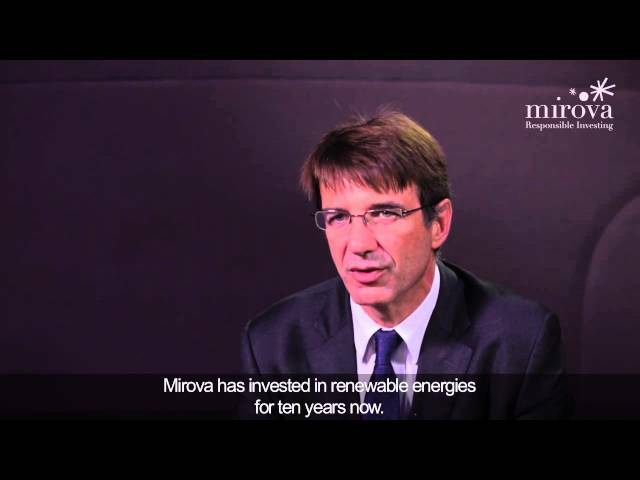 Mirova is pleased to announce the launch of the “Land Degradation Neutrality Fund”, a global impact investment vehicle co-promoted with the Global Mechanism of the UNCCD. With a target size of $300 million, it aims at becoming a source of transformative capital bringing together public and private investors to fund projects that contribute significantly to land degradation neutrality. Land degradation neutrality is one of the targets under the Sustainable Development Goal on Life on Land (Goal 15) and seeks to promote land management practices to ensure that productive land available is not mismanaged and recoverable degraded land is rehabilitated. The legal vehicle is now created and investors will be progressively on-boarded within the next weeks. As an early supporter of the “Land Degradation Neutrality Fund”, all the way through the design and structuring phases, the European Investment Bank (EIB) is currently appraising a possible financial participation, and has been followed since by the French Development Agency (AFD) and the Grand-Duchy of Luxembourg. The Inter-American Development Bank (IDB), some private investors, including pension funds and insurance companies have also confirmed their interest. In addition, a separately-operated Technical Assistance Facility (TA Facility) is being set-up to support the development of promising sustainable land use activities, to build a strong portfolio of projects for the “Land Degradation Neutrality Fund”. The TA Facility will be established in partnership with IDH Sustainable Trade Initiative, and funded by public institutions or private donors – including the Global Environment Facility who confirmed its commitment. On the pipeline development, Mirova is also working with a wide range of international and local partners, such as Credit Agricole du Maroc and Fondaction, to source and co-finance attractive projects that can yield both financial and development impacts. The investment vehicle “Land Degradation Neutrality Fund” has not been authorized by any supervisory authorities. Its investment objective, strategy and main risks are described in its regulatory documentation. Its fees, charges and performances are also described in these documents. Investments in this vehicle are mainly subject to loss of capital risk and reserved for specific investors, as defined by its regulatory documentation.